New Delhi Sep 15 (IANS) Oscar Pistorius was celebrated as a poster boy by many after he became the only double amputee to enter summer Olympics in London in 2012 and went on to win the 400m gold at Paralympics the same year at the same venue. But his life took a drastic turn when he was dubbed the "Blade Runner Killer" after being accused of killing his girlfriend Reeva Steenkamp -- an allusion to the blade prosthesis he uses for his legs and a throwback to the 1982 Sci-fi movie "Blade Runner". But what happened to his legacy? Has his good been erased after he was sentenced for murdering Steenkamp? These are some of the questions that English director Vaughan Sivell wants people to ask after watching "Pistorius" a four-part documentary which is streaming on Amazon Prime Video. "I hope people will understand the case better with the series. I hope they will get to understand what was proved to be true about Oscar as a human being and what wasn t " Sivell told IANS in a telephonic interview while talking about the idea behind making the series on the controversial 2013 incident. "One of the most interesting things about examining life of a fallen hero is (the questions that come with it) -- Does the eventual failing eventual dismantling of legends mean that all the good they did up to that point is erased forever? Is there a legacy of good from Oscar s career or is it completely taken away?" It was a Valentine s Day night back in 2013 which turned out to be deadly for Steenkamp and fateful for Oscar. The South African athlete is in prison for murdering his girlfriend. 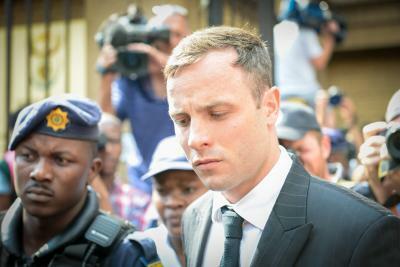 Oscar claimed that he shot dead Steenkamp after mistaking her for a burglar. He fired four times through a locked toilet door at his home in the capital city of Pretoria. Oscar was initially awarded a five-year term for manslaughter in 2014 but was found guilty of murder after the state appealed in 2015. The sentence was increased from six to 13 years and five months last November. Along with spotlight on the turbulent life of disgraced runner "Pistorius" attempts to piece together the circumstances that led to the murder and the ups and downs of the case -- all this with the backdrop of South Africa s journey as a nation. "The questions that I would love people to ask at the end are -- What is natural justice and what is legal justice? Which one did he get? Did he get both? And whether all his good work has been completely erased with it?" But the saddest part as Sivell puts is that Steenkamp s family has to live without her forever and "only Oscar knows everything and he has to live with that " he said. "I hope that there is some positive to be taken from the series " added the director known for his documentary on champion boxer Joe Calzaghe. How did he relate Oscar s story with the journey of South Africa? "It struck me that Oscar and (non-apartheid) South Africa were born within a few years of each other. So the country and the man was born with incredible challenges and low expectations of what they could achieve " he said. "Over the course there came hope for the nation under Nelson Mandela. And Oscar changed the way we think about disability and showed what a young man could do with perseverance and self belief. They mirrored each other " said the director adding that it was fascinating to tell how the different worlds collided with each other. There were many shocks and surprises in store while investigating the subject for the series. "There were pieces of evidence which were ignored or many strange facts which I can t tell. But there were things which surprised us on a weekly basis " he said. Sivell and his team had a tough time convincing Oscar s family to revisit their dark memories related to the incident. "It was very difficult to convince them to open up. When we started making it enough time had gone on and lot of people who were involved felt that they have said what they had to say. They didn t want to talk about it. It took a long time and huge effort to convince them that what we were doing was an impartial account and that we were willing to go to great lengths to make sure that we will only tell the truth." But Steenkamp s family refused to revisit the horror tale. "We offered the same to her family but they didn t want to be interviewed by us... We have done our best to show our huge sympathy for them and to acknowledge what is the truth of the story. I just hope that they don t feel that we have portrayed them badly " he said. The team might be tracing a case of murder but they have made sure that they are detached from it. "We don t make a judgment on him. We just show what was proved and what happened."